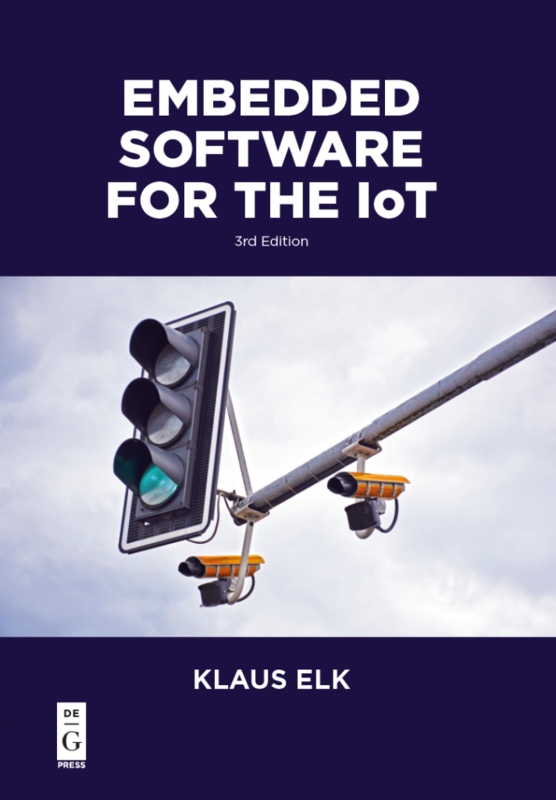 Front page for 3’rd Edition of “Embedded Software for the IoT”. See the Table of Contents with selected figures. You can also go to one of the many Amazon sites, via the links at the bottom of this page, and try “Look Inside”. The Author page describes the main embedded systems that I have worked with, during the 30+ years in the business, while the Blog pages are digging into subjects that generally extend the book. If you can read danish, you may want to read the article in Ingeniøren & Version2’s JobFinder about the book here. The Links page has links to external sources on the subjects in “Embedded Software for the IoT”. The Downloads page contains links to downloadable source-files from the book. Finally, you can read about my other 2018 book: “SQL Server with C#” here. See links to Amazon for “Embedded Software for the IoT” at the bottom of this page. Download a PDF of Chapter 7 on networks here. This chapter is about wired networks but also prepares you for wireless networks. Why “Embedded Software for the IoT”? Even though you know a lot about programming, embedded systems has extra challenges. When focusing on IoT devices, network knowledge is key – no matter whether you go for Ethernet, WiFi, LORA or some of the other choices. Many developers will need some basic knowledge on Digital Signal Processing, as many IoT-devices act on digitized signals. And then there’s the large area of CPUs and Real-Time Operating Systems. These dictate resource-constraints that you don’t find in PCs, as well as some important architectural considerations. The last couple of years has shown us that we need to think differently on security. If we are creating a life-critical device for e.g. hospitals, it should be pretty clear that we need to think security. However, less critical devices , like e.g. toys and home appliances may be used in “botnets”. This gives us an ethical responsibility. The economic argument: it can hurt our brand, even if it doesn’t inhibit our application. Finally, “Industry 4.0” is gearing up. Instead of starting from scratch, we can learn a lot from the existing Statistical Process Control. Much of this happens as post-processing on PCs today, but it will move closer to the assembly-line. “Embedded Software for the IoT” provides an overview of the above domains. It also introduces some of the major tools and how to use them. With this overview you are armed to go searching for details on the internet. Please see Table of Contents for more information.